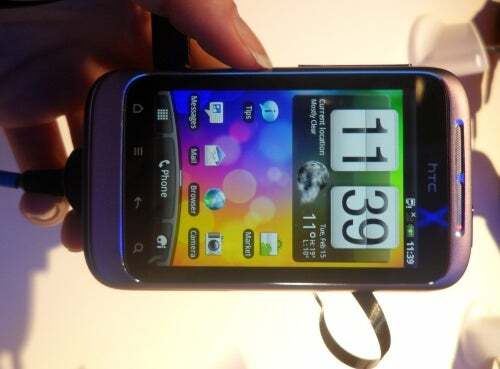 The HTC Wildfire S proves that lower-end Android phones don't necessarily have to be attractive too. The original Wildfire is one of the many budget Android phones we saw in 2010. The Wildfire S is no super phone; in fact, the specs are pretty unthrilling. 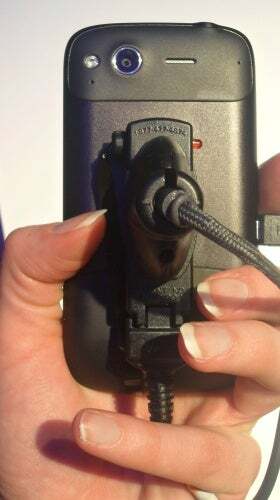 The cute HTC Wildfire S does get some minor enhancements with a 320-by-480 HVGA 3.2-inch display (the previous generation had a 320-by-240 QVGA display). The Wildfire S also runs Gingerbread-which I'm pleased about and has a 5-megapixel camera. What the Wildfire S lacks in specs, it makes up in design. The small phone (3.99 by 2.34 by 0.49-inches thick) feels great in hand with its smooth, rounded corners and solid build. It comes in three attractive colors, too: a light purple, stone gray and black. Unfortunately, the Wildfire S does not get a speed boost in this upgrade. It retains a 600MHz processor, which is fine for a bit of multitasking and short video watching, but I wish HTC would have given the Wildfire a little more juice this round. The Wildfire S will be heading to Europe and Asia in Q2 2011. US availability, pricing or carriers has not been announced. See PCWorld's complete coverage of Mobile World Congress.